Following a rigorous application and assessment process we are pleased to announce that Thomas A Becket Junior School is an Eco Schools’ Green Flag 2017-2019 award holder. Through our continued 'green work' within school and the community we have held this award since 2009, with our application being reviewed every two years followed by a visit by an Eco Schools assessor. To achieve this award we had to be working on all 9 areas of the Eco Schools Framework, by building ‘greenness’ into both the day-to-day life of the school and the pupils’ learning, as well as supporting other schools and organisations to become 'greener' themselves. Mrs Michelle Mayes, our Eco-Schools' Co-ordinator, always welcomes support and ideas for the 'green' work that we do. If you would like to be involved in our work, or have ideas to offer, please contact the school office. We are pleased to announce that, after reviewing our Travel plan actions and achievements, WSCC have awarded us the Bronze National Travel Award. We will continue to promote safe travel to school by working with the pupils, parents/carers, Governors, residents and travel representatives. 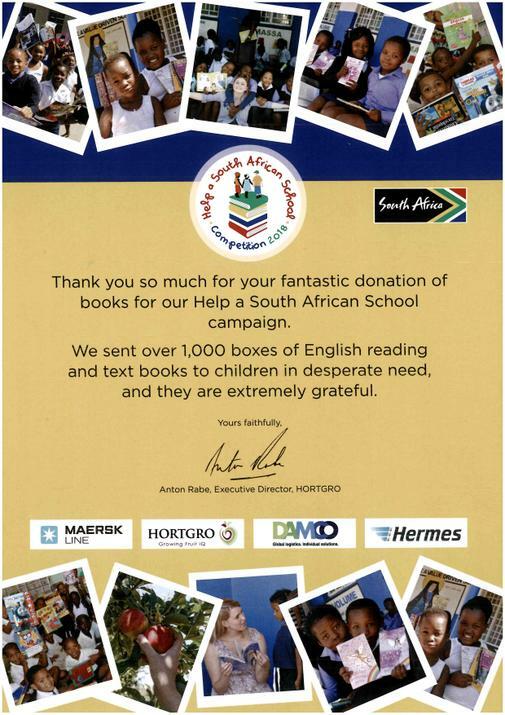 During summer term 2018 we donated boxes of unwanted school books along with books donated by pupils, parents & carers to a charity, who presented them to schools in South Africa. This week we received a thank you letter for our kind donations and learnt that the charity collected over 1,000 boxes. On Tuesday 12th March our upper school Eco Committee continued with their workshops on air quality and learnt about how to produce a campaign to support their project. We discussed how to design eye-catching posters with a clear message to their target audience and the importance of a quote or catchphrase to help embed their message. On Monday 11th March Mrs Mayes joined Tim Loughton, MP for East Worthing and Shoreham, and committee members from the E.Y.E (Eco, Young and Engaged) Project at the Houses of Parliament, as the project was shortlisted in the top three for a Green Heart Hero award. The Green Heart Hero Awards are a once a year opportunity to recognise the incredible work happening up and down the country to build a sustainable future by going the extra mile to protect the people and places we love from climate change. The E.Y.E Project unfortunately didn't win the award but the committee were extremely proud to be nominated and to get so far. Mr Loughton then gave the committee a tour of the House of Lords and they sat in on a live debate in the House of Commons! The upper school Eco Committee have continued their work on learning about and gathering data on air quality around our school. During Eco Club on Tuesday 5th March, Daisy from Sustrans discussed why some roads would have more air pollution than others and how we can plan routes using a map to avoid overly congested areas. After school on Tuesday some members of the year 5 committee were joined by Janey from Living Streets, Mrs Mayes, Mr Gadd and Mrs Gilham (School Governor), to talk to parents/carers waiting for their children and highlight the importance of turning off their engines and choosing more active travel on their school journey. This could include walking, scooting, cycling or park and stride. During assembly on Monday 25th February we were joined by Janey Bray from Living Streets, who spoke to the pupils about air quality. We learnt about what causes air pollution and how we can reduce this within our school community. Did you know that you can save fuel if you turn your engine off whilst waiting for your children, which also helps to reduce air pollution? On Tuesday 5th March, Janey will be joining members of the year 5 Eco Committee outside school at 3.00pm to hand out leaflets and talk to parents/carers about active travel and air quality. During Eco Club on Tuesday 12th February the year 5 and 6 committee members took part in their second workshop on air quality, run by Sustrans. We learnt about lichen and air pollution. We analysed different types of lichen and learnt how bushy and leafy lichen are more sensitive to nitrogen dioxide, and how crusty lichen love polluted air. When you walk to school have a look at some trees, walls and rooftops. Can you see any lichen? Is it yellow due to air pollution? On Tuesday 5th February Mr Mayes from AD Fuels discussed renewable energy with the Eco Committee. We learnt about green power such as solar, wind and hydro. We then discussed the process of creating biogas by using anaerobic digestion where food, amenity waste, crops, and slurry are used to create gas which can be used to power our cars, cookers and boilers. Mr Mayes talked to us about the two types of gas created during this process compressed natural gas (CNG) and liquid natural gas (LNG) and how lorries are able to transport the gas to ports and fueling stations. During Eco Committee on Tuesday 22nd January the year 5 and 6 committee members took part in their first workshop on air quality, run by Sustrans. We learnt about what causes air pollution and how we can take steps to reduce this in our local environment. Air testing equipment was placed in designated spots within the school grounds and the results will be sent to a science lab for evaluation and then reviewed by pupils in future sessions. Lewis Crathern, Kitesurfer (2016 Big Air Vice World Champion and British Record Holder), coach, and commentator visited TAB on Monday afternoon, leading two assemblies and two kite surfing demonstrations on the school field. He inspired the children not only with his exploits, but also with his story of how dreams combine with hard work and commitment. Explaining to the children about the equipment used, the techniques involved, and telling them about his adventures around the world, Lewis also led a Q&A session in each assembly. An inspirational visit from an inspirational man – an afternoon to remember. Eco Committee members in year 4 and 5 attended the Eco Summit event at Worthing High School on Tuesday 26th June. The pupils took part in lots of different environmental workshops highlighting the importance of recycling, looking after our pollinator friendly insects, pollution in our seas and lots more. We are pleased to announce that we won an award for all our pollination work undertaken in school and James in year 4 won an award for the most creative vegetable animal. On Wednesday 6th and Thursday 7th June our year 5 pupils took part in a workshop session run by Southern Rail. They learnt how to use a train timetable, how to plan a trip using a timetable and connecting trains, how trains operate along the south coast, the importance of staying safe near a railway line and how trains are a sustainable form of transport. The pupils all enjoyed the sessions and felt what they had learnt would support them next time they use the train on their journey to school or for a day trip with their family. During Eco club we looked at pieces of Picasso’s art and interpreted our own designs to make portraits using cardboard. Eco Committee members recently entered a competition with the E.Y.E Project (Eco, Young and Engaged) and Southern Co-operative to design an Eco poem and poster. We are pleased to announce that Abigail in year 5 came runner up in the age 8-9 category, Jasper in year 6 won the age 10 category and Isabella in year 5 came 3rd place, and Ciara in year 6 came runner up in the age 11-13 category. A huge well done! Southern Co-operative said that judging the competition was a really tough job! They were so impressed with the thought process, energy and creativity that went into the posters. So much so that they are going to be displaying them in their office. During Eco Club the committee decided they would like to use the money they have raised from their Eco incentives to sponsor an animal with WWF. Lower school committee voted on sponsoring a Jaguar and the upper school committee voted on a Panda. We would like to introduce you to Jeffrey the Jaguar and Pippin the Panda, who will be joining Busta our Eco Club mascot in his weekly Eco adventures with the committee. The E.Y.E Project was invited to join eco committee members at Thomas a Becket Junior School for one of their eco club sessions. During the lunchtime session, a pupil read the recent diary entry of the eco club mascot, Buster, who reported on the different recycling bins found in Gozo whilst he was on holiday with one of the eco club members. Buster gets to go home with a different pupil each week and reports on his eco adventures in his diary! After hearing about Buster’s adventures, the eco club divided up in pairs to audit the eco signage around the school, including classrooms, staff offices, toilets and corridors. Pupils checked that each area had the correct signs including the school eco code; turn off light signs; turn off water signs; turn off computer signs; recycling monitor name sign; light monitor name sign. They also checked that every classroom had a pen recycling pot. Last year the school recycled 30kg of pens! Thomas a Becket are a Green Flag Eco School, they have been an Ambassador Eco School and will now be in the Eco Schools Hall of Fame (along with The E.Y.E Project!). They are a large school with around 700 pupils. They run two eco club sessions each week during lunchtimes, one for years 3&4 and the other for years 5&6, with a total of 37 eco committee members. To spread eco engagement across the school there are separate groups of litter rangers and energy rangers (each with around 40 pupils). The rangers carry out their duties once a week during breaktime. There are also recycling and light monitors for every class, so around a quarter of the school are engaged in eco activities at any one time. All Yr 3&4 pupils also enjoy Forest School sessions. 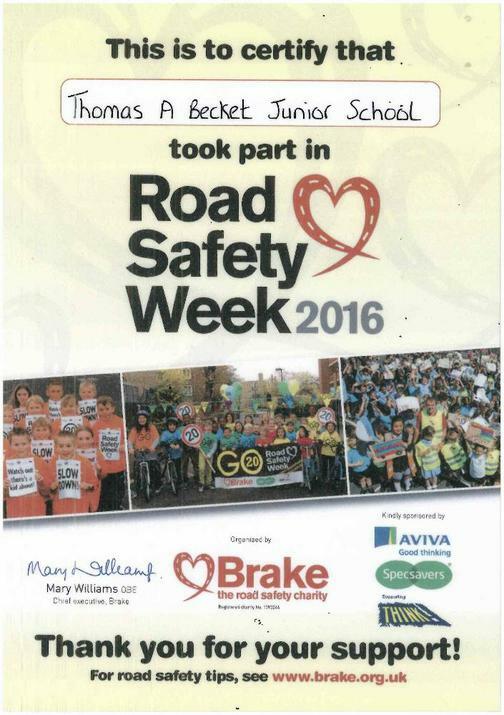 The school takes part in Fairtrade Fortnight; Road Safety week; Walk to School week; Funky Feet Friday; and the E.Y.E Project Eco Summit each year. They are involved with the Learning Through Landscapes Polli:nation Project with other local schools. Details of their eco activities can be found on their website http://www.thomasabecketjunior.org.uk/eco-activities/. Details of the Polli:nation project and their Fairtrade activities can also be found under the ‘extra-curricular’ tab. When asked what their favourite thing about being in the eco club was, one pupil said ‘everything’ while another told me that no one is persuading them to do it and it is great that so many pupils want to be involved and apply to be an eco-committee member, and another advised that it was the planting and seed bombing. Pupils advised that they collect milk bottle tops (for Sight Support Worthing); plant flowers; make and throw seed bombs; find animals; draw animals; make homes for bees; enter loads of eco competitions; make items from Fairtrade products for raffles; make eco craft such as collages from magazines and newspapers; and write letters using persuasive writing skills. Some pupils have recently written to Theresa May encouraging her to consider Fairtrade in Brexit negotiations. The energy rangers award points to classes, for example turning equipment off, and each term the winning class is announced in assembly and the class receives a poster and a pot of treats. There are also prizes for the weirdest thing found by a litter ranger during litter picking! Pupils advised that being part of the eco club has made them more conscious of littering issues outside of school, that they turn off lights more at home, they recycle more at home, and they walk and cycle more. It was a delight to meet the eco committee members from Thomas a Becket – thank you for involving the E.Y.E Project to your eco club meeting! 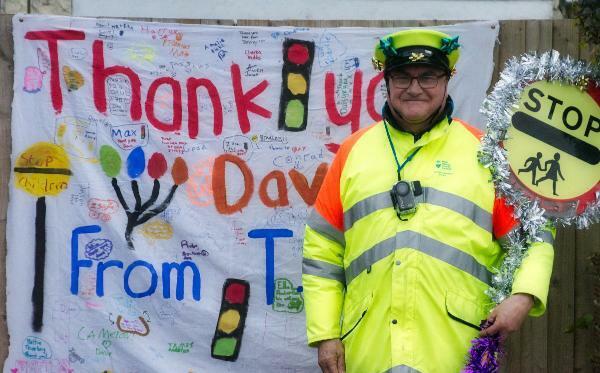 We would like to say a huge thank you to Dave our School Crossing Patrol who has been helping our pupils cross the road safely at Wiston Avenue for 11 years! We presented Dave with vouchers and a card during assembly today. We are sure you will join us in wishing Dave all the best for the future, he will be greatly missed by us all. "Could you please say thank you to all the pupils, parents and staff for the lovely retirement presents. I had so many cards and gifts it is impossible to say a personal thank you to everyone and to say how moved I was by them. I have thoroughly enjoyed all my time working as the lollipop man over the years and will miss everyone but not the early mornings and bad weather. Mrs Mayes, Mrs Saunders and the year 6 Eco Committee held an assembly on Monday 27th November to highlight the importance of wearing brightly coloured clothes, wearing your cycle helmet and the Green Cross Code to help keep pupils safe on the journey to school. To support Road Safety Week the children came into school wearing their brightly coloured clothes to highlight the importance of being seen when walking, cycling or scooting to school now the winter months are approaching. We also offered the opportunity for parents/carers to purchase high visibility jackets. 14 pupils from our year 4 and 5 Eco Committee joined 24 local schools at the Eco Summit held at Davison High School on Tuesday 20th June. The children had the opportunity to take part in lots of different workshops and made key rings from high visibility clothing, held bearded dragons, giant snails, a gecko and snakes, made bread and ice-cream and learnt about where our food comes from. Members of our Eco Committee have been planting lots of vegetable seeds in our raised beds. We are hoping to have plenty of tomatoes, green beans, cucumbers, courgettes and herbs growing this summer. 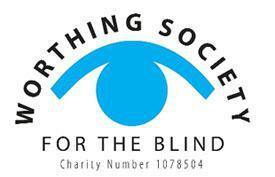 Thank you from Worthing Society for the Blind, who collected another 10 bags of milk bottle tops from us on Friday 31st March. They receive money for the bottle tops which then get recycled into play equipment & dustbins. 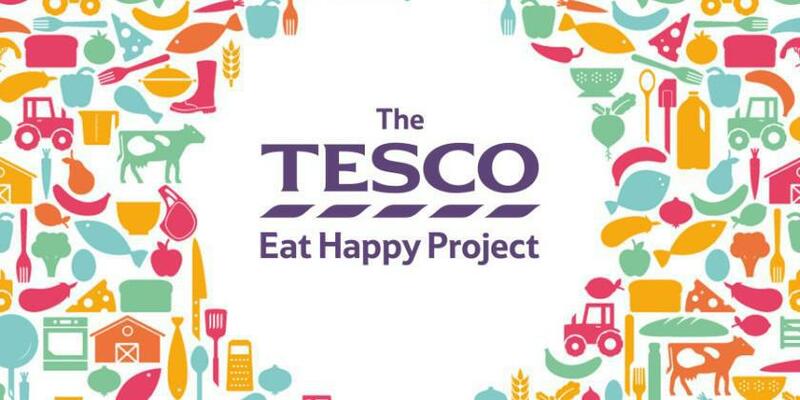 Our year 5 pupils visited our local Tesco Extra store to learn about where our food comes from. Children made a healthy cereal, tasted a selection of cheeses, visited the fish monger and watched a demonstration on filleting a piece of fish. They also looked around the fruit and vegetable aisles to see how far our food travels and researched which fruit or vegetable had traveled the furthest. They also learnt about Fairtrade bananas. We would like to say a big thank you to Mackley Construction, who kindly donated 90 high visibility jackets to the school after hearing about our 'Be bright, be seen' non uniform day. The children will be wearing the jackets during all school trips within walking distance, and also for other events like our scooter training. Pupils took part in our 'Be bright, Be seen' non uniform day to promote safer travel to school by making ourselves as bright as possible now that the winter months are approaching. Mrs Mayes and Mrs Brown joined our ten ‘Pound a Poem’ finalists at the Southern Water ceremony on Friday 8th July 2016. Our finalists enjoyed a buffet lunch and had the opportunity to talk with Southern Water about their water saving devices, and how important it is for everyone to have access to clean water. The children read their poems to a delighted audience, and they were each presented with a framed certificate and goody bag. We are also pleased to announce that Abdul in Year 6 won the 1st prize of a £100.00 Love2Shop voucher, Maddie in Year 3 won the 2nd prize of a £50.00 voucher, and Benjamin in Year 5 won the 3rd prize of a £25.00 voucher. A big congratulations to our Top Ten finalists for their brilliant poems! There is a 65.9% increase in children scooting to school. There is a 13.5% decrease in pupils travelling to school by car. We were invited by the E.Y.E Project (Eco, Young and Engaged) to take part in an Eco art competition which would be displayed at the Eco Summit and Ropetackle Art Centre in Shoreham. The competition was sponsored by Shoreham Port and we are pleased to announce that Louis and Zack in year 6 won the primary school category and received an art set each and £125.00 for the school and Bronwyn in year 4 was runner up in this category. Recently pupils had the opportunity to support Water Aid with Southern Water by entering the Pound a Poem competition. After our assembly the children were asked to write a poem between 6-8 lines long about the importance of having clean water. I am pleased to announce the poems have been judged down to the final 10 and all 10 are from TAB. They have now been passed on to the Executive Management Team at Southern Water who will decide the winners. We have been invited to an awards ceremony on the 8th July where the winners will be announced. On Tuesday 21st June some children from the year 4 and 5 Eco committee attended the Eco Summit at Davison High School. The children took part in lots of workshops which included creating art pieces from materials on the theme of 'seasons' and making planets from items washed up on the beach. We also learnt about growing vegetables and the importance of recycling. We had the opportunity to hold a Bearded Dragon, Gekho, Corn Snake and giant African Snail and we discussed the dangers these animals encounter such as loss of habitat and food. Our Eco video shows some members of the committee taking part in a wild seed planting activity within Eco club. The video will also be shown to E.Y.E Project member schools at the Eco Summit held at Davisons High School on Tuesday 21st June 2016. Representatives from Southern Water recently visited Thomas A Becket Junior School and spoke to the children during an assembly to inform them about Water Aid and the 'Pound a Poem' competition. Their mission is to raise money so they can provide fresh water and sanitation for people in Cambodia. Southern Water showed the children a short video of a young girl's three mile journey to collect water every day for her family. We discussed how much water we all use and how lucky we are to have clean running water. Water Aid is asking children to write a six to eight line poem about what having clean water means to them. They are requesting a £1 entry fee for the chance to win £100 'Love2Shop' vouchers for 1st prize, £50 'Love2Shop' vouchers for 2nd prize and eight runner-up prizes of a trip to Southern Water's Peacehaven Treatment Site. Good luck to all the pupils who have entered! Children in 5CS recently wrote letters to cleaning suppliers and water companies asking if they would be able to donate funds to support toilet twinning. We received a letter this week from W&P Healthcare and Hygiene who thanked us for bringing this interesting project to their attention and for the lovely letters the children had written. They have kindly donated £243.00 which has sponsored a toilet block in Pakistan. We worked with Davison High School to ‘Dress a Girl Around the World’ where we donated dresses made from a simple pillow-case. This term during Eco club the committee have been making pieces of magazine art. 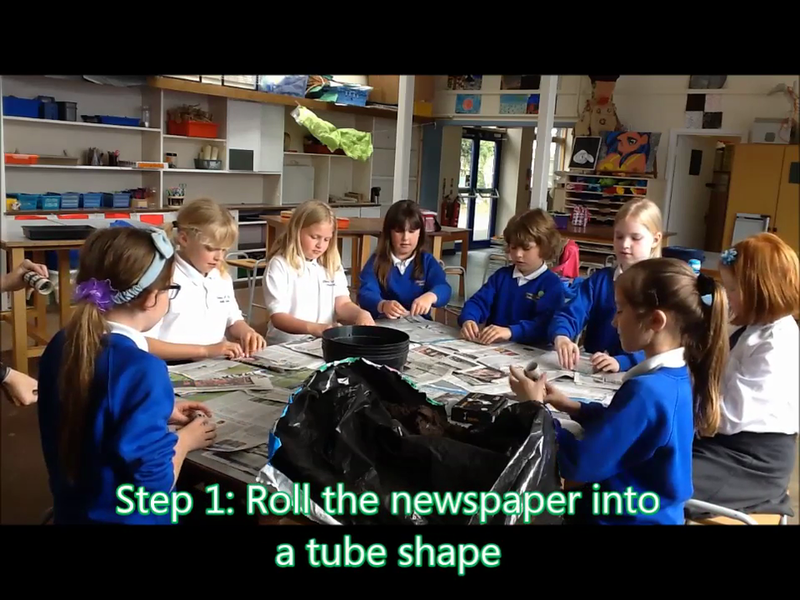 The children drew a large scale drawing and then used strips of magazine to create their art work. The committee has also been painting their bird boxes ready to assemble around the school grounds. Children within the Year 6 Eco committee and Litter Ranger group visited the Mixed Recycling Facility (MRF) in Ford. We talked about all the items we can recycle at home and what happens to them once they reach the MRF. We learnt that 20 two litre plastic bottles can make a fleece and that recycled paper can make a pencil. We also took part in activities and designed our own bag. On Saturday 19th September we joined Transition Town Worthing along with the Marine Conservation Society and the Sussex Wildlife Trust to take part in the ‘Great British Beach Clean’. Volunteers gathered at Beach House garden and split into groups along the seafront to gather litter and search for egg casings. A litter survey was completed and the information gathered will be calculated by the Marine Conservation Society to create data on items found along our coastline. The Sussex Wildlife Trust gathered all egg casings found to analyse the amount of dog fish, skate, rays and other fish that have been born this summer.